This is a continuation of the CAFE Wealth survey. ( Other posts in this series can be found either by clicking on “CAFE Project” in the Tag Cloud or by clicking on “GrumbleSmiles Trust” in the Topics list). 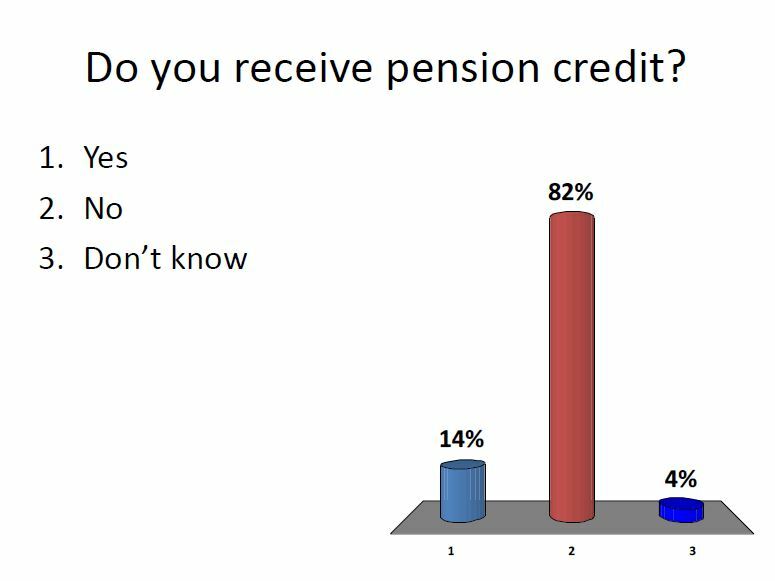 Pension credit is the least understood and most unclaimed welfare benefit. It’s impossible to say within this group whether more people would be entitled to claim the benefit but 14% receiving it is very low in relation to the expected number of claimants. 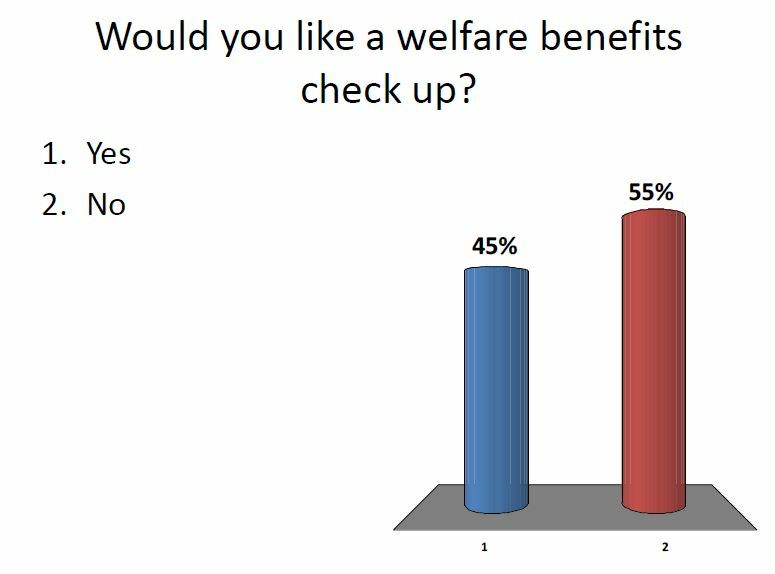 At the same time many older people have a reluctance to claim any kind of welfare support. What’s interesting in this response is that nearly half of the group would like to find out if they are receiving all that they could. From past experience that’s likely to mean there is significant potential for increasing people’s income. Footnote: An App that enabled people to make a rudimentary appraisal of their entitlement to benefits and particularly pension credit, would alert them to the possibility of improving their income. The complexity of the benefits system then means they would be best referred to a specialist support group like Age UK. Typical of the Government – treating pensioners as second class citizens and creating a minefield to try and dissuade us in claiming what is rightfully ours.